At the end of 1970 Ford made four uni-body chassis, that were stamped out of lightweight sheetmetal. These uni-body chassis assemblies did not come down the factory assembly line, and thus never received a passenger car serial number. 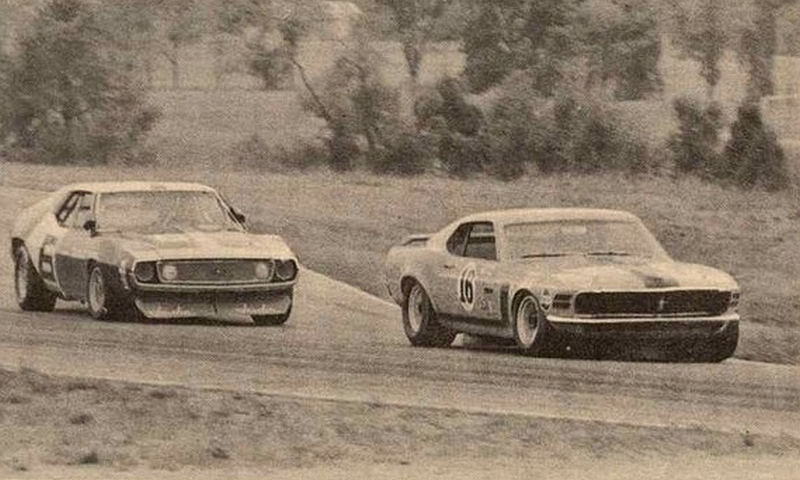 Delivered unpainted, they became known as "Bodies in White.” Of the four such chassis built, only two were completed and raced in the SCCA Trans-Am series, in 1971. The “Bodies in White” are significant in that they were stamped out of thin-gauge sheetmetal instead of being acid dipped for lightness. 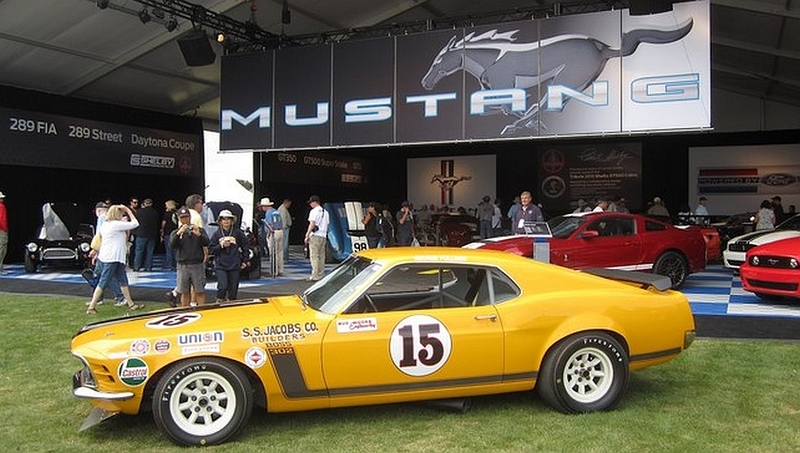 Also, they were the only Bud Moore Mustangs built from 1970 model bodywork, as all other “factory” Bosses began as 1969s. These “Bodies in White” were then sent to Ford’s racing subsidiary, Kar Kraft, for the roll cage installation, modifications to the suspension mounts, and bodywork. Part of this “bodywork” the pronounced sectioning/raking/drooping of the front sheetmetal. After the Kar Kraft work, this car was sent to Bud Moore’s shops in South Carolina for final assembly. Bud Moore built this “Body in White” chassis (BIW-2) for George Follmer, and it wore the number 15 in 1971. Body-in-White #2 (BIW-2), was the last car completed and campaigned by Bud Moore in the Trans-Am series. This car went into service at St. Jovite on August 1st, 1971. George Follmer qualified and raced it to 2nd in this debut. 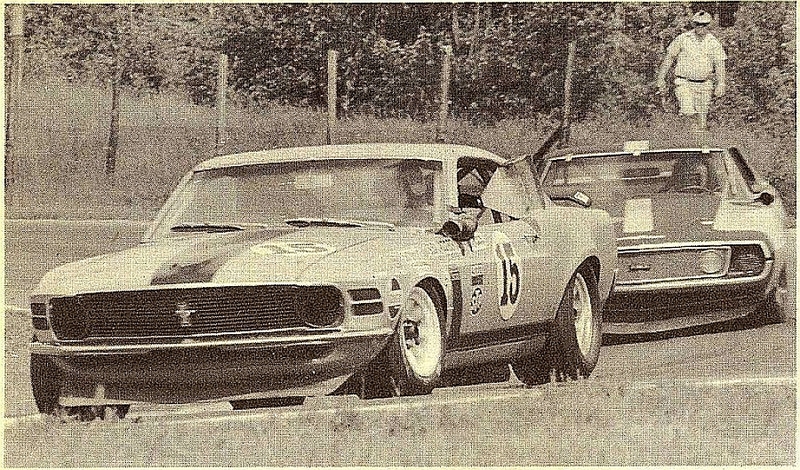 At the 1971 Watkins Glen Trans-Am, George Follmer captured pole position with this chassis, and finished in 2nd, behind only Mark Donohue's Penske Javelin. After the 1971 Trans-Am season, this car was sold to J. Marshall Robbins. 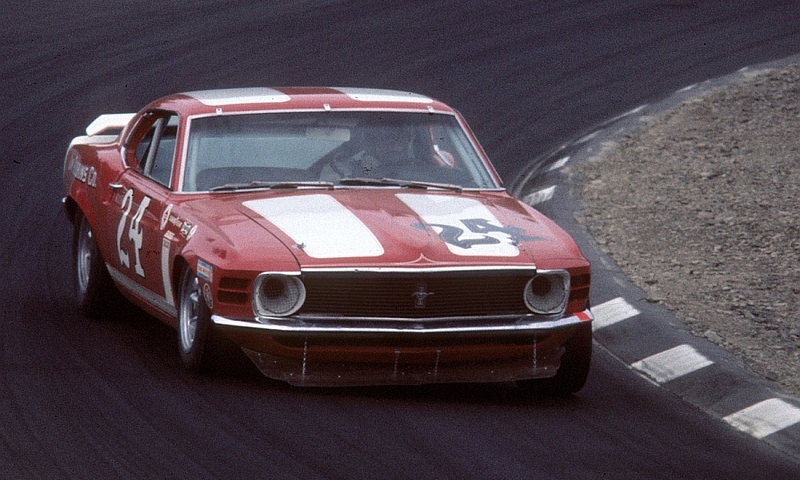 This car was repainted red and white, and became Robbins’ primary car, as number 24.